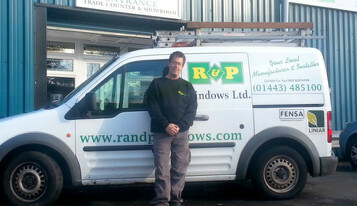 Welcome to R&P Windows, we are a family run business and have been established since 1981. 32 years of experience in uPVC manufacture and installations has made us a leading manufacturer and installer of uPVC products in South Wales. 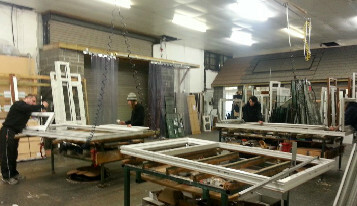 Based in Pontypridd, our customers have the confidence in buying products that are manufactured and distributed locally. We pride ourselves on our reputation for a high quality & professional service. We have a dedicated aftercare technician who is on hand should you need anything further after your installation. We have built up an enviable reputation for being fair on price, reliability and delivering an excellent standard of workmanship. We strive to give a face to face personal service and keep everyone informed and up to date during all projects. Why R & P Windows? All our uPVC products are welded, using only top quality materials and all uPVC windows are manufactured on our own premises and we can ensure that our windows are amongst the finest in the region. All work is carried out by our own in-house craftsmen (not sub-contractors) which helps us manage the complete job from start to finish and with specialists in building, carpentry, double glazing, window fitting, roofs and roofline products, we can match the right people to the right job. We offer a comprehensive 10 year guarantee on all our double glazing windows, doors and conservatory installations. We ask for a small 10% deposit in advance and the rest on satisfactory completion of the installation. Ask our sales team for more information. 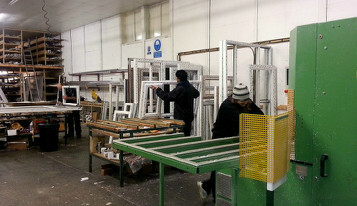 All of the above from a local double glazing company committed to providing value for money. Fill in our free no obligation quotation form to get a free quote for your next project. 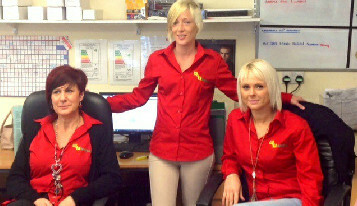 For more information call us 01443 485100, where your enquiry will be dealt with by our friendly and enthusiastic staff.